1. 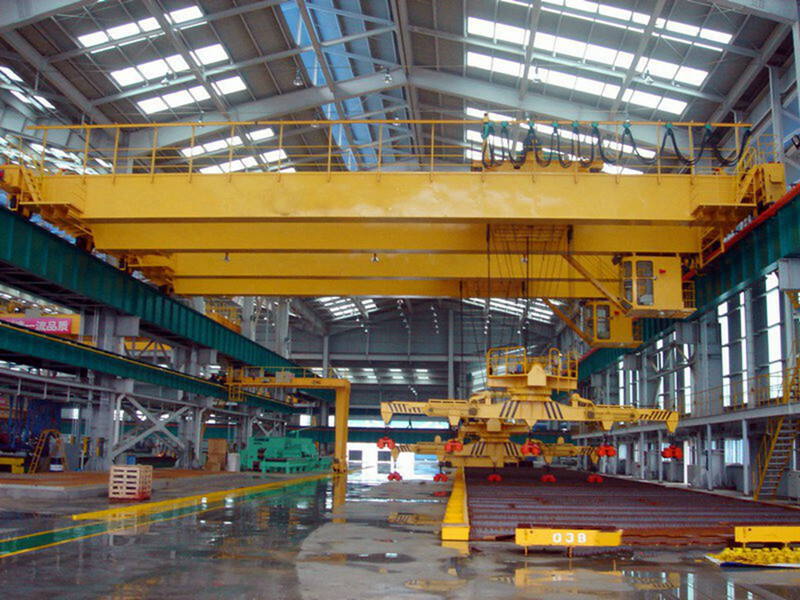 The magnet crane has a removable disk, especially for the handling of magnetic properties of ferrous metal products and materials, such as steel ingots, steel, such as iron blocks. 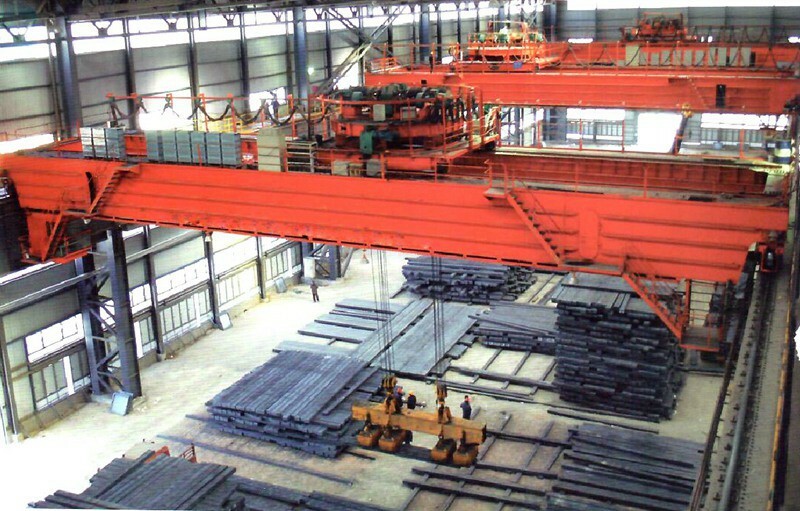 Mainly used for iron and steel enterprises rolling line, finished product library, shipyard steel yard, cutting workshop, etc. This crane with a removable disk, especially for the handling of magnetic properties of ferrous metal products and materials, such as steel ingot, Raw stones and so on. 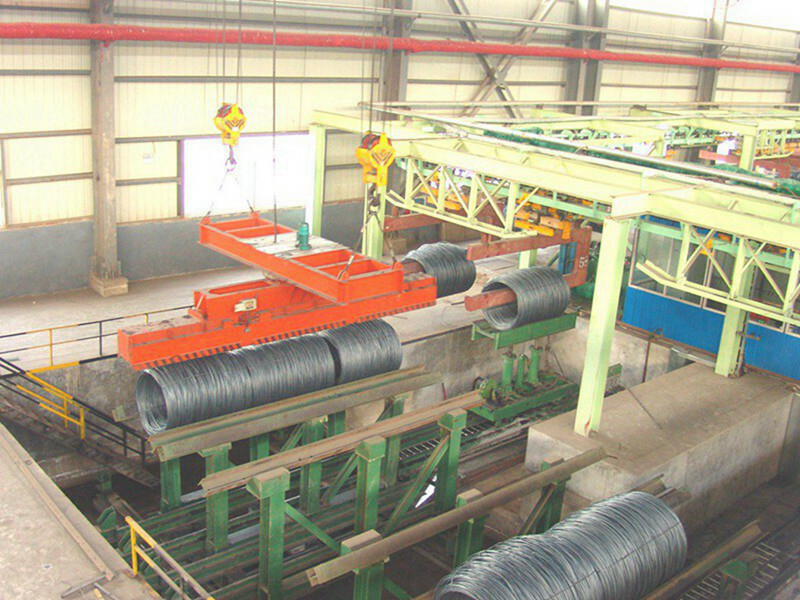 Mainly used for iron and steel enterprises rolling line, finished product library, shipyard steel yard, cutting workshop and so on. 2. The Electromagnetic hangings with Simple structure, balanced force, the Electromagnetic sucker are easy to disassemble. 3. 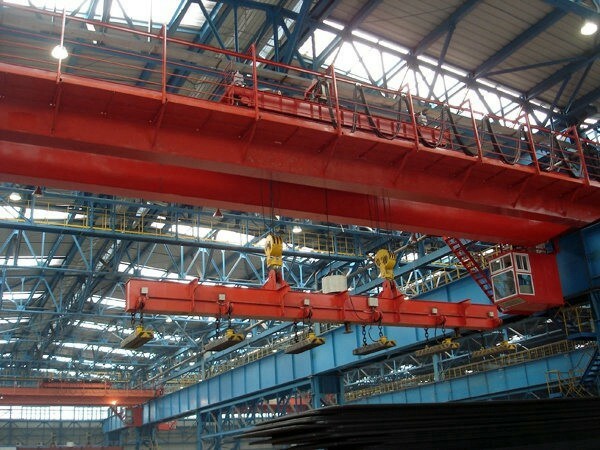 The lifting mechanism using a single motor driven single drum or double drum structure, to ensure the synchronization of the lifting material. 4. 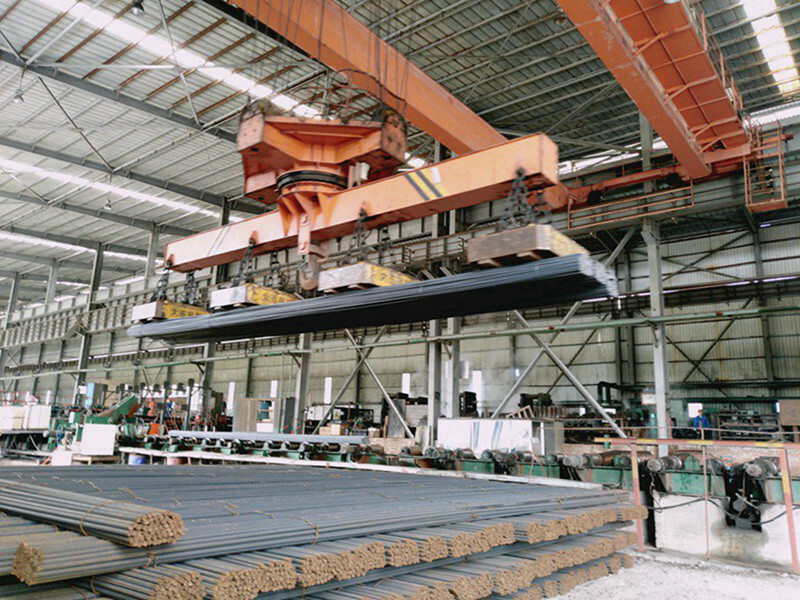 Hanging beam metal structure using steel plate welded box type beam, hanging beam on the electromagnetic sucker can be disassembled, easy maintenance. Our main production equipments are: Steel plate pretreatment line, Steel plate decoiling, leveling & cutting line, Steel plate CNC cutting line, Main beam welding machine, Main beam assembling machine, Boring miller machine, Bridge pre-assembling platform, Shot blasting machine, European hoist test station, CNC vertical machining center，Heavy duty 2285B CNC vertical machining center ect. 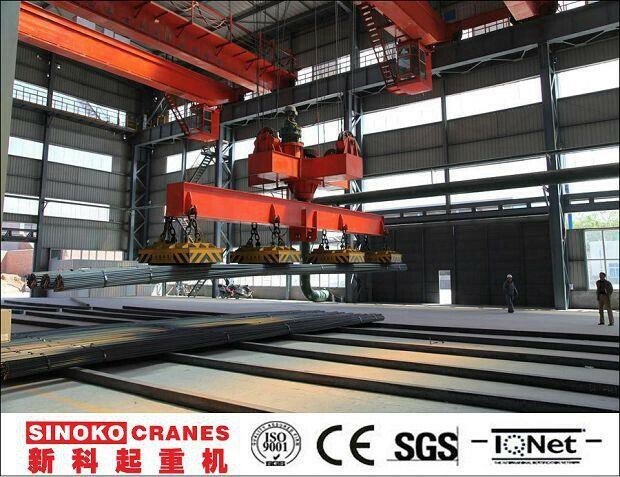 All compression structural part of crane's components chosen material with fine quality and meet regulation. The important material has quality guarantee and inspection report. In view of important welding seam and stress is more than tension weld of 70% allowance stress, conducting fault detection check and take out 5% weld length by ultrasonic test. Inspection report provided to user. 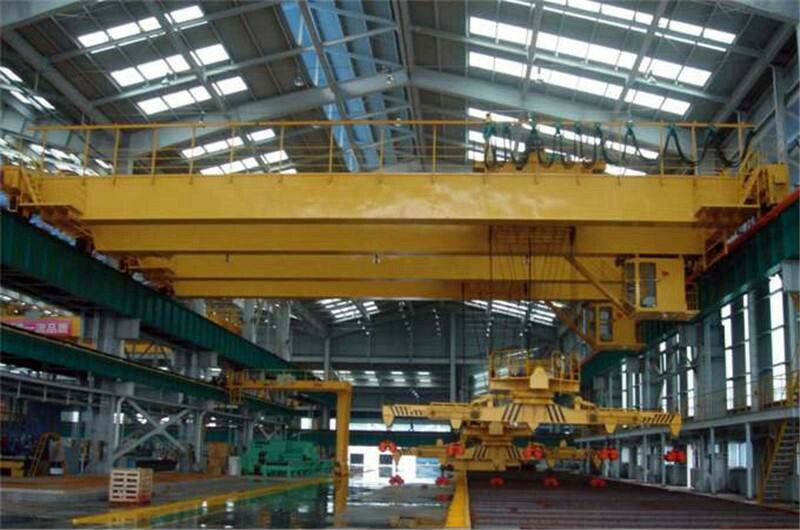 Lifting Magnet Series MW5 is used for lifting and transporting steel scraps. It is suitable for transferring cast ingots and various kinds of steel scraps. It has huge magnetic force and can attract lots of steel scraps at one time. 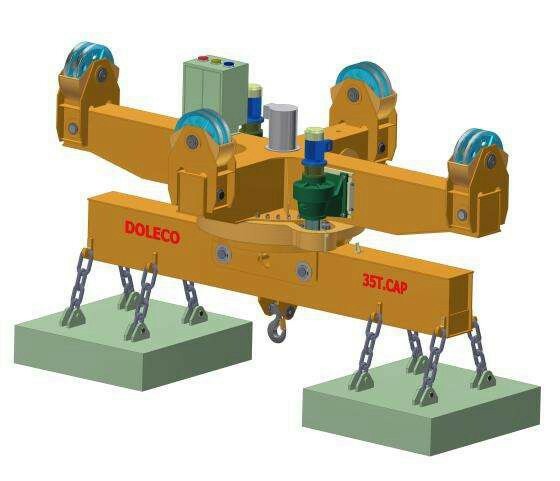 The trolley is designed to have slewing mechanism. So the lifted steel bar can change direction freely. Drive motor must use China Top Brand: Jiangte Motor. Manufacturer have good achievement used and provided detailed and actual parameter prove that it is good performance product. Insulation class >= F; Protective class >= IP54. 3 ways are optional based on budget or need: Cabin with joystick panel, wireless control panel or pendent control panel. All steel is treated by sand blasting before doing paintings. There are 3 layers of paintings. The bottom layer is zinc painting to prevent from rusting. The color of top surface should be average. mechanical limit switch: overload limit, height limit, rail end stop limit for traveling. Electric protection: short circuit protection, lose phase protection, low-voltage protection, power failure protection, over current protection.